A chuckle, we are told, can significantly improve health. Bearing this in mind, we invited legendary cartoonist Spain Rodriguez to draw upon some highlights of the incongruous and irrational episodes in the feminist art movement’s fragmented history that were included in Lynn Hershman Leeson’s documentary film !Women Art Revolution – A Secret History, and to create a graphic outline of that tumultuous era. 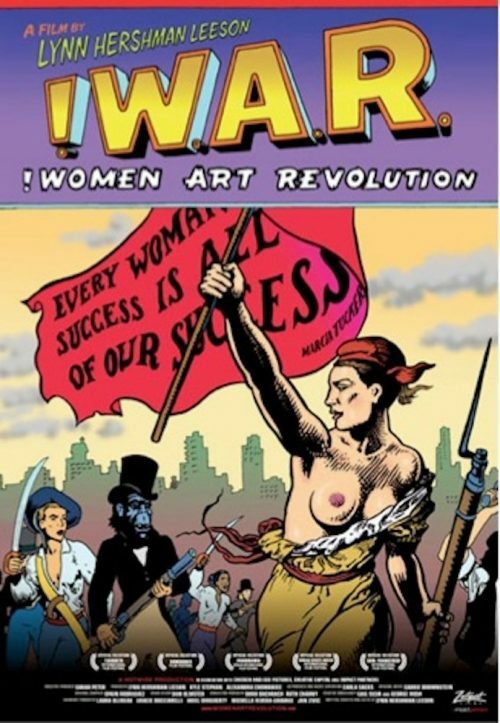 Spain’s graphic novel includes some of the many outrageously comical episodes that impacted the history, the text of a 2006 interview with Marcia Tucker, first woman hired into a curatorial position at the Whitney Museum, and a curriculum guide for the film.